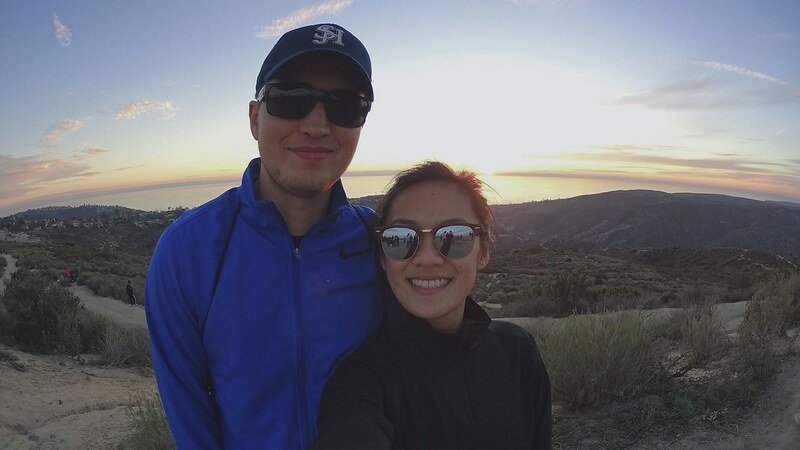 Alas, Nicholai and I went hiking in the Laguna Beach area a few weeks ago. I originally thought we would have to hike to a high point called Top of the World, but you actually drive to this point and then branch out on different trails. It’s pretty much the highest point in the area, and many gather here to watch the sunset, which we did. Top of the World showed a wide view of the ocean in between the hills. 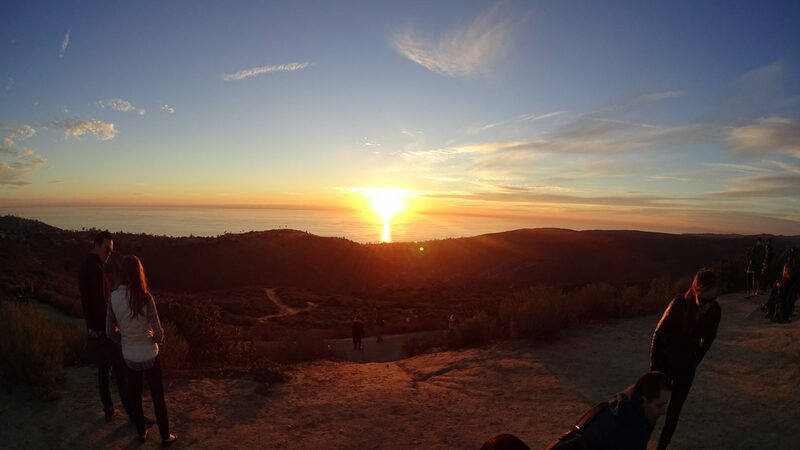 Although the trails weren’t as impressive as I thought they would be, I still appreciated the sunset view on the ocean horizon at the top. One thing to do differently – buy hiking boots. I’ve been holding off because I haven’t been hiking as much as I wanted to, but I’ll need them eventually. The decline is so rough on your ankles and knees, so having the right grip and support will be a huge factor. There are a bunch of different trails here, which is nice and I’d like to explore more of them. We hiked for about 1.5 hours before sunset, so next time we’ll try other lengthier trails. I’m glad we made the effort to hike today though!